Food and wine combine to delight your senses. 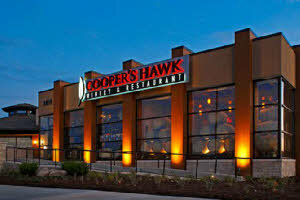 Experience Coopers Hawk…a modern, casual restaurant with a menu created with their own handcrafted wines In mind. Start in their Napa-style tasting room, where you can view their wineries and sample their winemaker’s latest creations. Finish in their bar and restaurant to enjoy a delectable dish designed to pair with their own award-winning wine for a dining experience you won’t soon forget. 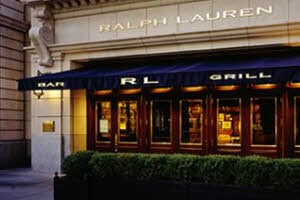 RL Restaurant features the vision and décor of Ralph Lauren and modern city-club cuisine, combining a unique club atmosphere – where even the first time diner is treated as a member. The food is inspired by American classics – seafood, steaks, chops, salads, sandwiches – a menu that stands apart from fashion and trends. Some of their more popular items are prepared tableside. 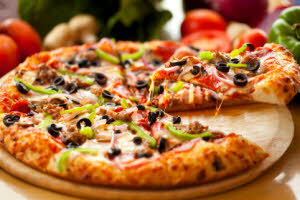 Chicago is well known for some of the best pizza in the country. Whether you prefer thick or thin, here’s the short list for a few of the better pizzas in the Chicago area that are certain to please the most discriminating palate. Interactive Map – You can zoom the map in or out using the +/- boxes in the left corner or hover over any red icon to see the name and popularity of the restaurant. You can also left-click and slide the range of the map, or click “View Larger Map” at bottom to see the restaurants on Google Maps. Executive Chef Paul Kahan brings a respect for local ingredients with the innovations of the modern culinary world to create a cuisine that has been described as “quietly revolutionary.” From wood-grilled sturgeon with green cabbage and enoki mushrooms, to dry-aged prime striploin with rosefinn potatoes, Blackbird has an extensive menu sure to please. The James Beard Award-winning design, by Thomas Schlesser, incorporates sharp, minimal design elements with expanses of white space. 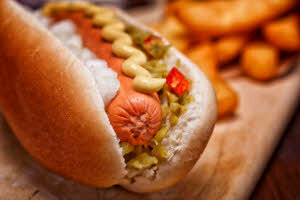 Chicago is well known for some of the best hot dogs in the country. Here is the short list for a few of the better dogs that are certain to please the most discriminating palate. 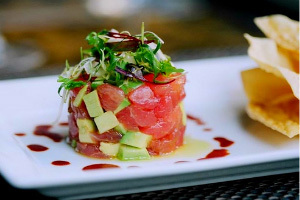 EPIC restaurant and bar offers a regional American menu, featuring a variety of items including Chilean Sea Bass with champagne butter, Braised Beef Short Ribs with soft polenta and an extensive Raw Bar. EPIC is located on Hubbard Street, just steps from the intersection of Clark & Hubbard. 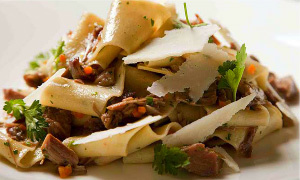 Rittergut features classic dishes with a contemporary spin. 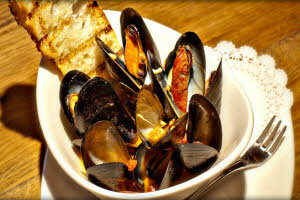 Rittergut’s menus change seasonally to reflect our commitment to fresh & sustainable ingredients. Rittergut’s wine tasting bar provides dining for individuals or groups up to 12 people. The Tasting Bar offers an attractive atmosphere for socializing and an opportunity to enjoy customized tastings. Located between Madison and Monroe, on the West side of Wacker. 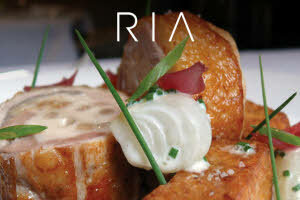 Set in the heart of Chicago’s Gold Coast in the chic Waldorf Astoria Chicago, RIA is a sophisticated, engaging restaurant serving Chef Danny Grant’s modern, seasonally driven French cuisine. Seamlessly melding refined and rustic, vintage and contemporary, Sepia has the feel of an instant classic. Stylish without being sleek, the space is warm and inviting, comfortable yet lively. Built from an 1890 print shop. Sepia features memorabilia from the Windy City’s bygone eras. Attention to detail runs throughout Sepia – both in the room and on the plate. From the custom tile Art Nouveau floor to the hand-crafted millwork to the vintage stemware, the easy elegance of the room serves as the perfect backdrop to the inventive American cuisine. 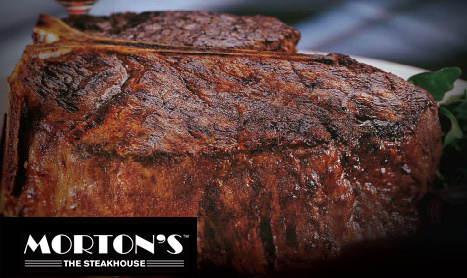 Morton’s Chicago (The Original) – The Original Morton’s The Steakhouse location is in the heart of Downtown Chicago. Nestled between the streets of State and Rush, this basement restaurant has entertained countless celebrities and Chicago’s well-known. The rich wood and the grotto-like feel of the space can only be found at the original location. 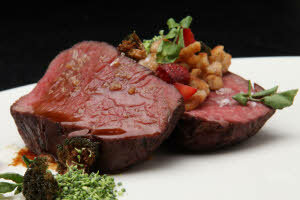 Morton’s offers seamless service and unmatched entrees. This is the perfect location for those who want to enjoy the best of the best that Chicago dining has to offer. Morton’s Chicago (Wacker Place) – Morton’s The Steakhouse at Wacker Place is located at the epicenter of some of Downtown Chicago’s most celebrated attractions and downtown hotels. Walking distance from the Magnificent Mile, Millenium Park and the Chicago Theatre District, this steakhouse offers a superb dining location for a business power lunch, after work drinks and small plate $5 Bar Bites, an exceptional dinner or even over 4,000 square feet of private dining space in six private dining rooms.